Convert Any Video to MPEG-1, Convert MPEG-1 to AVI, WMV, MKV, FLV, 3GP! Any Video Converter is a world-class quality MPEG-1 Converter software. MPEG-1 Converter makes it easy for you to convert videos from AVI to MPEG-1, WMV to MPEG-1, MKV to MPEG-1, MPEG-1 to MPEG-2 (PAL, NTSC), MPEG-1 to MPEG-4, MPEG-1 to WMV, MPEG-1 to AVI, MPEG-1 to MKV, MPEG-1V to FLV, etc. It also supports converting AVCHD videos from M2TS to MPEG-1, MTS to MPEG-1, TS to MPEG-1. Besides, it allows you to set video output settings including resolution, frame rate, encoder, bit rate, and more! MPEG-1 Converter works perfectly for almost all popular video/audio players like iPod touch, iPod classic, iPod nano, iPhone, Apple TV, PSP, PS3, Creative Zen, iRiver PMP, Archos, various video mobile phones and many other digital video and audio players. You don't need to be a professional to use MPEG-1 Converter. The simple three-step process makes it easy: just select the files to batch convert, select the format to convert into, and start the conversion! Video AVI (supported by Xbox 360, BlackBerry, Archos, Creative Zen, Wii, etc. ), WMV (supported by Zune HD, Windows Mobiles, etc. ), MP4 (supported by iPod, iPhone, PSP, Apple TV, Gphone, Blackberry etc. ), 3GP (supported by 3G mobile phones), FLV (suitable for online transfer), MPEG-1, MPEG-2, MKV, 3G2, SWF. Any Video Converter is a complete solution for video file conversion. It serves not only as a powerful MPEG encoder software which can convert MOV to MPEG (MPEG1 and MPEG2), DivX to MPEG, M4V to MPEG1, RMVB to MPEG1, RM to MPEG1, QuickTime to MPEG1, etc., but also a great video editor with lots of features, including a choice of compression codecs, clipping, cropping, addition of audio tracks, etc. If you have AVI files on your computer that you want to convert to MPEG-1 files to use with other programs or devices, you can use Any Video Converter which is an AVI to MPEG-1 converter. This easy to use MPEG-1 Converter can quickly convert your AVI files to MPEG-1 and MPEG-2 files, convert MPEG-1 and MPEG-2 to AVI, convert MPEG-1 and MPEG-2 to WMV, convert AVI to WMV, convert WMV to MPEG-1 and MPEG-2, convert WMV to AVI, etc.. AVI to MPEG-1 Converter supports multithreading, you can convert multiple files at the same time, all conversion processes are very easy and fast. If you have problems with the Windows Media player playing a QuickTime MOV file, than the Any Video Converter is really what you need! Any Video Converter can not only convert MOV to AVI, MOV to WMV and MOV to MPEG(1, 2, 4) with excellent quality, but also customize video/audio settings. It supports batch video conversion for these video formats including AVI, MOV, WMV, MEPG-1 and MPEG-2. 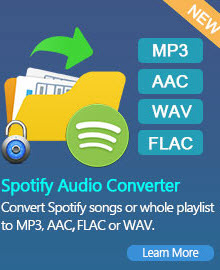 It also supports converting MOV files to audio formats like MP3, WMA, AAC and WAV. Before we move on to cover how to convert MPEG-1 to MPEG-4, let's go over the main differences between MPEG-1 and MPEG-4. MPEG-1 is the video format that has had some extremely popular spin-offs and side products, most notably MP3 and Video CD. MPEG-4 is a high-compression format which has many other features built in. DivX, XviD are implementations of MPEG-4. That said, they are limited implementations of the MPEG-4 standard to work best with highly compressed video. Any Video Converter enables you to convert MPEG-1 to MPEG-4 supported by various MP4 players such as iPad, iPod, iPhone, PSP, PS3, Apple TV, BlackBerry, etc..
* After converted MPEG-1 video to MPEG-4 format, you can feel free to transfer the MPEG-4 video to your iPhone/iPad/iPod touch. If you don't like iTunes, you can try our free Syncios iOS Manager. With Any DVD Converter, you can rip DVD to MPEG-1 format. Any DVD Converter is an appealing and powerful tool to DVD and video fans. This DVD to MPEG-1 Converter allows you to convert the protected and unprotected DVD to MPEG-1, DVD to MPEG-2, DVD to MPEG-4 without region code limitation. It can rip DVD to MPG (MPEG-1, MPEG-2), MP4(Xvid), WMV, MKV, FLV, 3GP, etc. Besides, it also allows you to rip DVD audio to MP3, WMA, and M4A format. MPEG-1 is a video codec used for Video CDs, and also sometimes for online video. The quality is roughly comparable to that of VHS. Almost every computer in the world can play this codec, and very few DVD players do not support it. 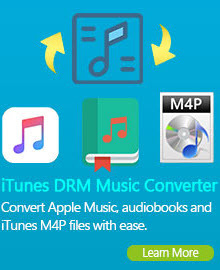 Read More: How to Convert iTunes DRM M4V to MPEG-1? iTunes videos are encoded as M4V files, which are tightly protected by Apple FairPlay DRM. The DRM-ed M4V videos are limited from playing on non-Apple devices and sharing online with your friends. 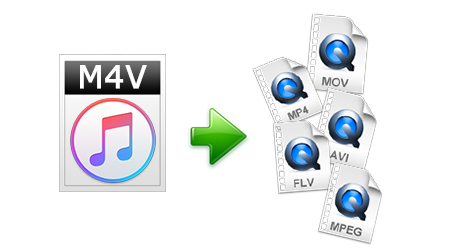 To free iTunes videos from any restriction, you can convert the M4V videos to plain video format, such as MPEG-1. To convert M4V videos to MPEG-1 format, you can seek help from the reliable and easy-to-use NoteBurner M4V to MPEG Converter (For Mac & For Windows) which is a professional and powerful M4V Video Converter. It can convert m4v videos not only to MPEG-1 formats, but to MP4, MOV, AVI, WMV, MP3, AAC, ect.